Obituary for Jeanne Louise (Regan) MacDonald | W. J. Dooley Funeral Service Ltd. 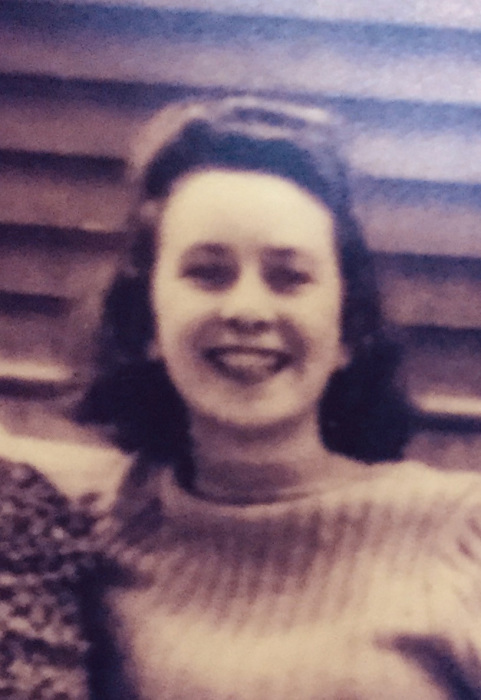 It is with sadness that we announce the passing of Jeanne Louise (Regan) MacDonald on St. Patrick's Day, Sunday, March 17, 2019 ten days shy of her 99th birthday. Born in Wolfville, NS on March 27, 1920 Jeanne was the daughter of the late Edith Parker Coldwell and Frank Herbert Regan. Jeanne is survived by her son Hugh, grandsons Bill, John, Michael, and David; daughter-in-law Donna MacDonald; special nieces Sally, Beth and Judy, as well as many nieces, nephews and great-grand children Trystan, Taylor, Scotia, Dugan, Casey and Gillian. Jeanne was predeceased by her husband Byron, sons John and Michael, sisters Beatrice (Toots), Kathleen, Pauline and brothers Frank, Perry and Lawrence. Jeanne grew up in Wolfville NS with her cousins/best friends Tommy and Daisy graduating from Wolfville High School and Acadia University's Horton Academy. Jeanne met her husband Byron when he was training with the Canadian Army in the valley during the Second World War. They were married in 1946 and moved to North Sydney, Cape Breton where they raised their three sons and had a big influence on grandsons Bill and John. During her time in Cape Breton Jeanne worked with family businesses, NS Tourist Bureau and the North Sydney Medical Clinic. Jeanne was a member of St. Matthew Wesley United Church where she taught Sunday School. Jeanne was a kind, thoughtful and caring person whose home was always open to others, especially relatives, friends of her sons and many special Cape Breton friends. Jeanne was a member of a Card Club with a group of ladies who met monthly for an evening of cards(45's) along with lots of fun, laughter and friendship. Jeanne also enjoyed playing cribbage especially with her husband Byron, friends and family. Jeanne and Byron enjoyed a few special vacations to the Canary Islands, Jamaica, Florida and a Caribbean Cruise. For the past 12 years Jeanne resided with family in Halifax where she established many special friendships and enjoyed the company of family dogs Qeilidh, Whistler, Sydney and Tuukka. Although Jeanne was born a valley girl and lived the past 12 years in Halifax, she always considered herself a Cape Bretoner. The family would like to thank Doctor Buckley, VON, EHS Paramedics, and the doctors and nurses of the Halifax Infirmary QEII Emergency and Unit 8.1 for their compassionate care and kindness. Many thanks to all of Jeanne's friends and family who visited with Jeanne at home, over the phone and in the hospital. Jeanne will be remembered for her genuine interest in others, a great sense of humour and her generosity - she was indeed a true friend and mother to many.